It’s not that I want to know, I’m only asking. Theirs not to reason why, Theirs but to do and die”. Extract from a poem “The Charge of the Light Brigade” – By Alfred Lord Tennyson, (1809 – 1892). Carbon dioxide, the main greenhouse gas responsible for climate change; the emissions of which come from man-made sources, have increasing over the past few weeks on Liberty Square here in Thurles. As responsible people will be aware; Trees absorb this carbon dioxide from the atmosphere, giving them growth and same is converted into sugars and wood, while releasing pure oxygen back into the atmosphere. This in mind; can anyone inform me as to who cut down the 26-year-old mature tree on the left-hand-side footpath, just as you leave Liberty Square to enter the Westgate / Friar Street area. Better still, can anyone tell me why and with what authority it was removed? Has the long awaited refurbishing of Liberty Square finally begun, in an effort to corral and cage rapidly disappearing retailers leaving Liberty Square to the outlying Shopping Centre? Who made 200 Pied Wagtails homeless? Finally, now that the healthy tree has been slaughtered, when will the surrounding footpath be repaired, to ensure the elderly and those ‘unsure of foot’, don’t tumble and injure themselves. (Maybe we need a wall, similar to that erected recently on Moyne Road, in the interest of Health & Safety.) Remember flattened wet sawdust is not a reliable replacement for tarmac or cement. Surprised our local councillors didn’t share details of this event on their ‘Facebook’. [“Theirs not to make reply, Theirs not to reason why”]. As our old postman, back in the late 1950’s, used to say “It’s not that I want to know, I’m only asking”. Tipp. Co. Council Seeks To Improve Thurles Streetscape. Removal of inappropriate contemporary signage, fittings and general clutter and replacement with shop fascia signage (with an emphasis on hand painted signage). Painting and general improvements to Commercial and Residential building frontages. Erection of planters, floral hanging baskets or other environmental improvements. Picture (1) Erin Foods closed in June 2008. Picture (2) Thurles.ie no longer exists. Picture (3) Disk Parking hasn’t existed for years. Picture (4) North Tipperary Co. Council ceased to exist in 2014. Application forms can be found HERE and are also available from the offices of Templemore / Thurles Municipal District council, latter situated at Castle Avenue, in Thurles (Old Library) and any further queries can be directed to Ms Louise Phillips, Tipperary Co. Council, by email at louise.phillips@tipperarycoco.ie or by Telephoning 0761 06 6067. 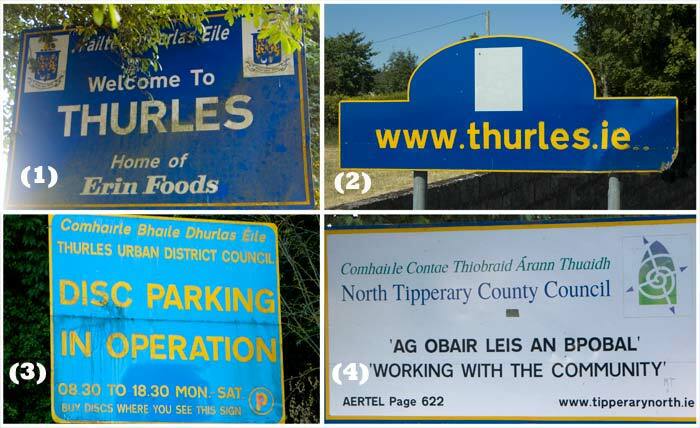 Completed Application Forms should be clearly marked“Thurles/Templemore Town Enhancement & Painting Scheme 2019” and returned to Ms Janice Gardiner, (Acting District Administrator, Templemore Thurles Municipal District, Castle Avenue, Thurles, Co. Tipperary), by no later than 4.30pm on Friday April 12th. 2019 next. 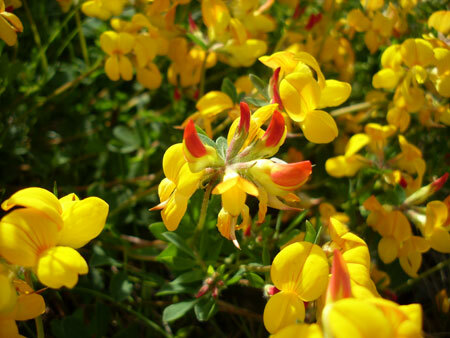 Farmers across Co. Tipperary can obtain free Irish native wildflower seeds at nine different cattle marts here in the county, during the month of March 2019. Some 1,000 farmers will receive these seeds, and are expected to participate in a ‘Pollination Plan’, thus aiding conservation here in Co. Tipperary this year. The overall aim of the gifting of these free seeds, is to use deep-rooted perennial plants to recycle leached ground minerals, to combat drought and through flowering; to attract beneficial insects onto farmland to assist with pest management. Following a recent National Biodiversity Conference held last February, Design By Nature decided it would be best to introduce farmers to the benefits of native wildflowers with a simple seed mixture, that would grow across a wide variety of soil types and farming situations. The information contained with each seed pack will be accompanied by links to websites containing information on farm supports and other research material, latter undertaken at Teagasc, into attracting pollinators to farm crops. The 30 seed species contained in these seed packs include perennials such as birdsfoot trefoil (Lotus corniculatus); clover and vetch, latter to fix nitrogen loss; yarrow and wild carrot, to recycle lost nutrients; together with many flowering perennials to attract absent and declining insects life. Sandro Cafolla – founder of Design By Nature and provider of these free seed packs, is asking farmers that fail or choose not to make full use of these free seeds on their land, to give them instead to local schools or Tidy Towns groups, who would readily use them instead. Mr John “Jackie” Fahey, of Lisfennel Close, Dungarvan, Co. Waterford and formerly of Lyreanearla, Clonmel, Co. Tipperary, who for more than 25 years represented both South Tipperary and later Waterford has, alas, passed away at the age of 91 years. Mr Fahey passed away while in the tender care of staff at CareChoice, Dungarvan. Predeceased by his wife Maura; son P.J. ; parents Jack and Nora; his passing is most deeply regretted by his wife Ita; sons Seán, Brian and Ciaran; daughters Deirdre, Sheila, Maeve and Gráinne; daughters-in-law; sons-in-law; stepsons Joseph, Laurence and Jackie; grandchildren; great-grandchildren; extended relatives and friends. Mr Fahey was born in Clonmel, Co Tipperary in 1928 and was educated at the local C.B.S. He later became occupied as a farmer, an auctioneer and an insurance broker. Mr Fahey first entered politics during his 22nd year (1950); becoming first elected to Waterford County Council and holding his seat on that authority right up until 1970, and later from 1974 to 1999. 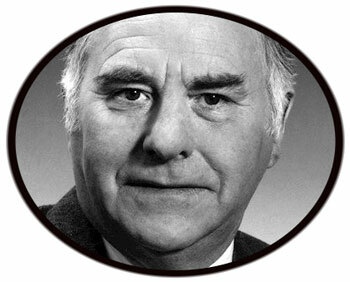 He first but his name forward, unsuccessfully, for election to Dáil Éireann as a Fianna Fáil party member in the 1961 General Election, but was successfully selected in the 1965 election, to represent Tipperary South constituency, and from 1977 onwards was returned successfully for the constituency of Waterford. During the late 1970’s, Mr Fahey grew disillusioned with the then leadership of Fianna Fáil; namely Mr Jack Lynch, becoming part of the “gang of five” with Mr Albert Reynolds, Mr Mark Killilea, Mr Tom McEllistrim and Mr Seán Doherty, helping to lobby the Fianna Fáil parliamentary party to elect Mr Charles Haughey to become leader, and despite it being only nine years after the “Arms Crisis” had nearly ended his political career; Mr Charles Haughey was duly elected the fourth leader of Fianna Fáil, instead of the widely expected Mr George Colley. It was generally accepted that Mr Haughey rewarded Mr Fahey by appointing him ‘Minister of State at the Department of the Environment’, a post which he held from 1979 to 1981. He would later, in 1989, contest unsuccessfully, the 1989 European Parliament elections for the Munster constituency. In the same year he openly voted, again unsuccessfully, against the proposed Fianna Fáil–Progressive Democrats coalition, which same latter action cost him the party whip. However, he re-applied for Party membership in the following year (1990) and was re-admitted to the fold. He lost his seat in the 1992 general election, but served out his council term on Waterford City Council; retiring from politics in 1999. During his time, particularly as an elected representative, Mr Fahey was highly regarded by his colleagues, both those in his parliamentary party and those in opposition, as a soft spoken, frank, diligent and a truly committed public servant. The earthly remains of Mr Fahey will lie in repose at Kiely’s Funeral Home, Fairlane, Dungarvan (X35 XN79) on Wednesday evening, March 20th, from 4.00pm, with removal at 6.30pm to St. Mary’s Parish Church, Dungarvan. Requeim Mass will be held on Thursday morning, March 21st, at 11.00am. Interment will follow immediately afterwards in the adjoining cemetery. An overwhelming majority of Irish adults (86%) recognise the value of the environment, recent research conducted on behalf of the Environmental Protection Agency (EPA) has confirmed. The EPA have released their findings to coincide with the launch of its “The EPA Year in Review 2018” report. The Red C poll in November 2018 explored attitudes towards environmental issues. “We are pleased to see that so many people recognise the importance of our environment as an asset to the country. Many of today’s environmental problems require a cross-sectoral, joined-up Government as well as a societal response. It is clear to us from our everyday interactions, that the public, business and broader society have a greater understanding of the link between reduced emissions and a clean environment, and our health, our wellbeing, our economy, our very culture”. The EPA’s National Priority Sites for Enforcement system has become an important enforcement tool, driving environmental compliance at licensed industrial and waste facilities. The EPA published regular updates during the year, with the agri-food and waste sectors accounting for the majority of the 15 sites listed for further enforcement action. Of the 15 sites on the National Priority Sites for Enforcement list in 2018, two were convicted in 2018, five more have cases before the court and three others are under consideration. A total of 15 prosecution cases were concluded in 2018, with fines and costs totalling €229,483. Of these, eight sites had been on the National Priority Sites for Enforcement list in 2017 or 2018. In terms of licensing, the number of decisions issued on industrial and waste licence applications increased in comparison to the previous year, with a total of 167 decisions taken. A new online licensing system also went live. The EPA’s Red C survey also shows that just over a third of adults (37%) recognise climate change as the most pressing environmental issue facing the country and 61 per cent cite it as being within the top three environmental concerns for us to tackle. 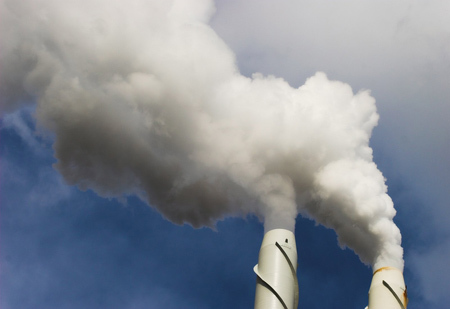 The EPA supports the implementation, monitoring and assessment of climate action through collating and communicating trends in Ireland’s past and future greenhouse emissions; influencing behavioural change to improve resource efficiency and to foster a circular economy in Ireland through the National Waste Prevention Programme; regulating emissions from industrial sectors and through climate science research. The “The EPA Year in Review 2018” report and the Red C Survey are both available on www.epa.ie.